The quote below is from secular humanist, J. Dunphy. After reading it over 10 years ago, this quote more than any other confirmed to me the necessity of teaching the truth of God and His Word to this generation. Each generation is faced with certain philosophies and teachings that are designed to attack the very essence of our trust in God’s Word. In my opinion, humanism with its evolutionary teachings represents one of the top purveyors of error in the times we live. Evolution is much more than a scientific idea. If you strip away all of its scientific jargon, in reality, it is purely a humanist and religious philosophy designed to convey the past, present, and future of mankind apart from the Creator. It is the antithesis of biblical Christianity. Unfortunately many Christians do not recognize where the battles of today are taking place, and are unwittingly sending both their children and the flock into the fields without the necessary armor. It will undoubtedly be a long, arduous, painful struggle replete with much sorrow and many tears, but humanism will emerge triumphant. It must if the family of humankind is to survive.”J. Dunphy, “A Religion for a New Age,” The Humanist, Jan.-Feb.1983. 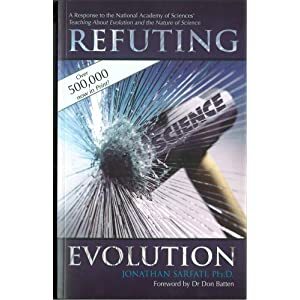 Note: I ran across this quote while reading an excellent book, “Refuting Evolution” by Jonathan Sarfati.